There are SUVs and there are coupes. But there is only one BMW X6. This vehicle is like no other. It unites apparent contrasts, such as size and agility or sporting character and elegance. It is a sports car that also feels at home off the road. A coupé and an SUV in one. Its design language reads like a set of instructions for being out of the ordinary. This is why BMW have created a separate vehicle category for the BMW X6: the Sports Activity Coupe. These three words contain everything that makes the new BMW X6 so special and also reflect what you see at first sight. It is more dynamic, more versatile, more majestic – in short: unique. Taking the power to where it has maximum effect – a simple idea that the intelligent BMW xDrive all-wheel drive system puts into practise masterfully. In the BMW X6, the BMW xDrive all-wheel drive system provides better traction, higher stability and more safety. If the sensors detect that the car is about to drift off course – for example, in wintry conditions – the system reacts in milliseconds. By adjusting the amount of power distributed to the axles, xDrive eliminates oversteering or understeering instantly. Even on ice and snow, the system allows the driver to enjoy the power of the BMW X6 to the full because there is a noticeable gain in traction and tracking stability on any terrain. Whether you are taking tight corners, attempting a hill start or tackling slippery surfaces, the optimum amount of power is applied to the road. BMW launched its new X6 at the opening of their new Faridabad showroom - Deutsche Motoren. The new BMW X6 is available at all BMW dealerships across India as a CBU (Completely Built-up) unit. 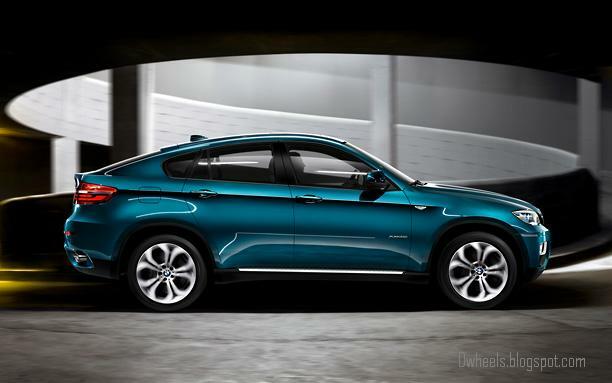 The new X6 includes design modifications such as a new kidney grille, repositioned fog lamps and new LED taillights. The minor changes in the interiors include sports seats with a raised seating position as well as a generous amount of space. BMW TwinPower Turbo 8-cylinder petrol engines in the BMW X6 xDrive50i. In the BMW X6 xDrive50i, a brief touch of the accelerator is enough to unleash the power of the 8-cylinder 4 valve petrol engine. On every bend, you can feel the close contact with the road, with the throaty sound of the eight cylinders ringing in your ears each time you put your foot down. The BMW TwinPower Turbo 8-cylinder engine with two turbochargers, twin VANOS and High-Precision Injection, an outstanding 300 kW (407 hp) and a maximum torque of 600 Nm accelerates the BMW X6 xDrive50i from 0 to 100 km/h in just 5.4 seconds. In view of this output, the V8 petrol engine fuel consumption is surprisingly modest – with an average of 8.0 km/l and combined CO2 emissions of 292 g/km. The 8-speed sports automatic transmission keeps the engine in the optimum rev range, offering near-imperceptible gear changes and excellent comfort. Centrally fitted exhaust turbochargers in the V of the cylinder banks make for an ultra-compact design, a low weight − and a unique level of agility. BMW TwinPower Turbo straight six-cylinder diesel engines. The BMW X6 xDrive40d uses a state-of-the-art common-rail diesel technology for higher performance and uniquely low consumption. The BMW X6 xDrive40d with its BMW TwinPower Turbo technology: two turbochargers with variable turbine geometry work in sequence to provide impressive power and high revs. With 225 kW (306 hp) and 600 Nm of torque under the bonnet, the car sprints from 0 to 100 km/h in just 6.5 seconds, while the common-rail direct injection system guarantees extreme smoothness and an impressively low average fuel consumption of 13.33 km per litre. The difference between the new BMW X6 and a coupé is not just the four doors. Behind these doors is a generous interior that now offers space for up to five people. And in terms of comfort and quality, too, the interior of the Sports Activity Coupé is anything but modest. The design underlines its sporting character and offers you a lot of freedom in the choice of upholstery, colours and interior trim strips. With its variable rear seat bench with seating for up to three people and the generous luggage space, the BMW X6 shows that it is ideal for everyday use. It's just more luxurious than other automobiles. Braking used to mean energy loss. Brake Energy Regeneration puts an end to this − by retrieving energy during braking and using it to charge the battery. As soon as the driver’s foot leaves the accelerator, the generator is engaged and converts excess kinetic energy into electrical energy. Once the battery is fully charged, the generator is disengaged from the engine. This takes the strain off the engine and reduces emissions. At the same time, the lower fuel consumption means more power is available for acceleration. With a drag coefficient of just cw 0.34, the BMW X6 sets new standards in its class – thanks to the wind tunnel tests that accompanied development from the very start. From the underlying concept to the countless details, such as rear lights with integrated trailing edges, the integrated spoiler in the front wheel arches, an almost entirely smooth underside, everything has been designed for lower consumption and emissions − and improved driving dynamics. The most comfortable way to save: the eight-speed automatic transmission not only ensures extra-smooth gear changes and reduces background noise at high speeds, but also significantly reduces fuel consumption. Only the rev counter will reveal how fast and seamlessly the optional eight-speed automatic transmission changes gear. The individual gears are finely graduated so that the change from third to fourth gear, for example, involves a smaller rev interval for the engine and the transmission process itself takes place almost imperceptibly. At the same time, the engine is always held at the performance level at which it can optimally use its strength and efficiency. The eighth gear reduces the number of revolutions at high speeds, thus lowering fuel consumption and engine noise. The system is supported by the newly developed and more efficient converter clutch – even when you switch to manual gear change. One second and 28 metres. That’s the time required to take your eyes off the road and read 100 km/h on the speedometer. The BMW Head-Up Display from BMW ConnectedDrive projects the current speed or navigation instructions directly into your field of vision − letting you keep your eyes on the road. The display includes information such as warnings while the complicated junctions become easier to negotiate thanks to the High-Guiding function of the navigation and its clear display of the road layout. The virtual image is projected directly into the driver’s field of vision and is clearly legible in all lighting conditions. 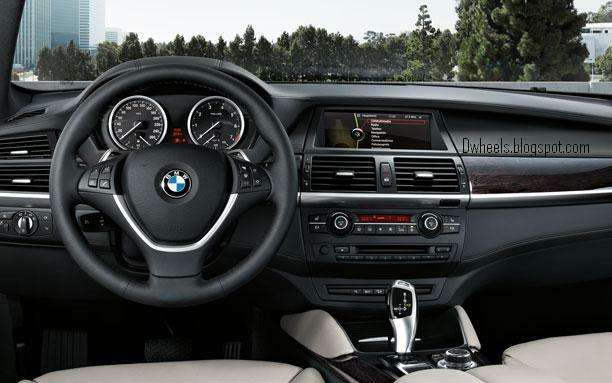 To ensure that the information is at the driver’s eye level, the height of the BMW Head-Up Display in the BMW X6 can be adjusted and the brightness of the display can be regulated via iDrive. All in all, it enables you to register information much faster, without having to take your eyes off the road.